Tin Mountain’s Nature Program Series is generously sponsored by Bank of New Hampshire and Hancock Lumber. The Nature Program Series provides adults and families with fascinating opportunities to explore and learn more about the natural world around them. Tin Mountain Conservation Center’s “hands-on” environmental education extends well beyond local schools and summer camp. The Nature Program Series has been offered to the public since 1981 when a total of three programs were presented. Over the years, the program has grown to over 70 presentations/field trips annually reaching over 1,500 people. For the past two years, Tin Mountain has offered an expanded series of Nature Programs that cover the entire calendar year. 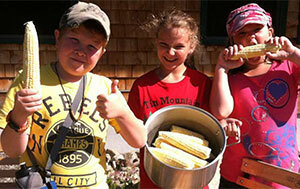 Upcoming programs are also posted on the Tin Mountain facebook page. 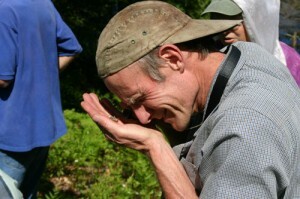 Tin Mountain’s Nature Program Series is for people with all levels of natural history knowledge. It offers an opportunity to explore the wonders of nature with experts in different fields of nature study. Programs are family-oriented presentations, and include slideshows, hikes, and outdoor trips that delve into the unique natural environment in which we live. Despite the fact that the mountains, forests, lakes, and rivers are often as close as our own backyards in northern New England, many residents and visitors have only scratched the surface in exploring these resources on their own. Some of the most fascinating natural areas, such as vernal pools, may be literally a stones throw away if you know for what and where to look. Other places offer natural features unparalleled in uniqueness and contain a wealth of natural history. The Nature Program Series continues to grow as we “hook” more and more people on nature. 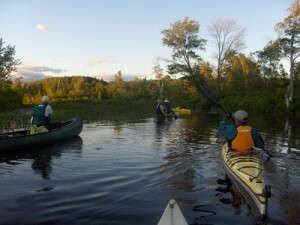 Although we live among this rich natural landscape, participants are often heard to remark that a hike above treeline or canoe trip on the Old Course of the Saco River is a first time experience. Click on “Upcoming Events” in the menu, or download the latest Program Guide (PDF) to find out what programs are coming up!